Let me start by asking you a question, do you know what ingredients are in your sanitary protection? I know I certainly didn’t. When it comes to time of the month, all I want is to know I have complete protection from leakages and enough Ibuprofen to keep the cramps at bay, or at least to take the edge off. When Veeda contacted me a couple of months ago about their 100% natural sanitary products, it did make me think, what on Earth is in the products I’ve been using for years? I wouldn’t knowingly put chemicals into my body through food, drink or other health products, so why should I treat my sanitary protection any differently? 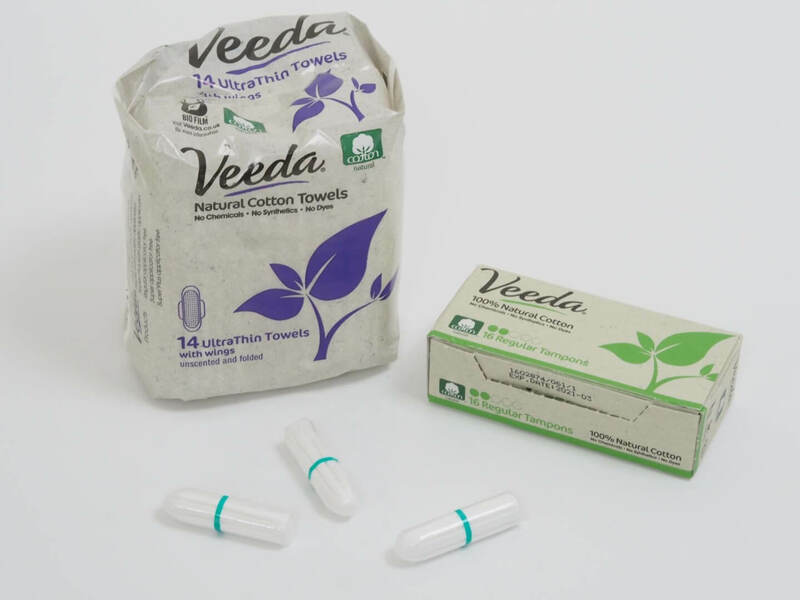 Veeda products are 100% cotton, hypoallergenic and toxin-free, something that once you start thinking about, should be important when it comes to sanitary protection. However, a lot of the products readily available on the market are not. So how did the tampon perform in comparison to my usually favoured brand? I usually use an applicator and the product I was sent weren’t the applicator version. When I got over this fact and started using the product, I was impressed with the level of protection offered and the comfort factor. I didn’t experience leakages as I have previously and I couldn’t even feel the tampon whilst wearing. I don’t really use pads, only on an evening, when I’m not usually heavy, so I can’t give a true review of their absorbency. In terms of feel, they were quite stiff in comparison with other pads I’ve used, but this was not uncomfortable and therefore I’d be happy to swap them. Now that I am mindful of the ingredients in sanitary products, I’m going to make a conscious effort to swap to natural products, and as Veeda’s products are so affordable (£1.85 for 16 tampons), I’ll be definitely re-purchasing. I would like to try their applicator tampons to see how these compare. You can pick up Veeda products from Boots. Do you think you should be more mindful of the ingredients in your sanitary products? Is this something you already consider? Veeda sent these products for me to review, however all opinions are my own.